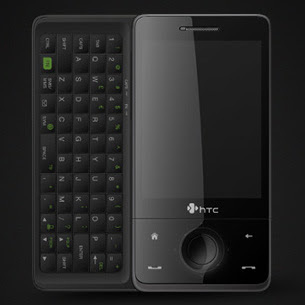 In an attempt to meet the expectations of more smartphone users, the Taiwanese company HTC decided to improve its HTC Touch Diamond Windows Mobile device, by endowing it with a generous QWERTY keyboard. Those that were frustrated by the lack of a full QWERTY in the previous Touch Diamond model will be happy to find that HTC Touch Pro meets this requirement, and adds countless other stuff. Users won't find many changes in design, except for the thickness of the new Touch Pro, which is beyond any expectations. HTC Touch Pro doesn't come with anything innovative save that it adds more power and functionality to the previous Touch Diamond Pocket PC. Announced in June 2008, HTC Touch Pro was made available on the market in August 2008. The slider smartphone from HTC can be acquired for about US$750, but pricing can vary, and depends on location or plan. If you are familiar with the HTC Touch Diamond design, then you won't notice too many differences compared with the Touch Pro device. Both come in the same size (102 x 51mm), but the thickness varies: 11.5mm for Touch Diamond, while Touch Pro has 18.1mm. The difference is huge also when it comes to their weight: 110g compared with Touch Pro's 165g (including battery). So, basically, you have the front of the Diamond, but the back of the phone has been completely reshaped. While HTC has kept the same diamond pattern on the battery cover of the device, the compound is mat plastic, and is something similar to the rubber-like material that has been used for so many other handsets as well – still, it is not quite the same. Actually, this is a good move on part of HTC, as the Touch Diamond had issues with the back cover, in that it was peeling off after heavy use. The layout of ports and keys is much the same as on the previous Touch Diamond model. The middle D-pad button acts like a touchpad as well (much like a wheel), especially when zooming pictures in the Album area, browsing the Internet or when using the music player. There are two volume keys on the left side of the phone, and the miniUSB port on the bottom side, where you can insert the charger, a miniUSB cable for PC synchronization, or the headset that comes in the sales package. The Power button is placed, as usual, on the top side of the phone, and it can also be used to activate the phone when in standby mode. A very small ambient light sensor, the in-call earpiece, and a secondary VGA camera that can be used for video-calls have been placed above the 2.8'' display. Below the screen, there are only four keys that can be used to control the menu of the phone, in case you don't want to touch and grease your device. The magnetic stylus can be pulled out from the bottom right part of the phone. The 3.2 Megapixel camera on the back doesn't have any protective lense, but it's placed a little bit behind a slim metallic plate, so it's not that easy to cause damage to it. A LED flash and a loudspeaker are also near the module camera. Overall, I wasn't impressed by the new HTC Touch Pro device, and I noticed only a few differences compared with Diamond, but more similarities. Still, it is these differences that are important, as they make the smartphone seem appealing even to those who already own a Diamond right now. HTC Touch Pro embeds a large 2.8'' VGA touchscreen that supports 262k colors, but only displays 65k colors. The device supports a better resolution than most of the existing Pocket PCs on the market - 480x640 pixels. Together with the new TouchFLO 3D interface, the screen offers marvelous quality viewing, which greatly improves Internet browsing and viewing of pictures. Just like with its Diamond predecessor, HTC literally outdid itself when developing such an incredible level of touch and view interaction. Thanks to the innovative TouchFLO 3D interface, HTC Touch Pro is very much comparable with the iPhone in terms of the level of sophistication of the interface. The screen is very responsive to the touch, and pretty much readable even when exposed to strong sunlight. HTC Touch Pro's 3.2 Megapixel camera features autofocus and flash capabilities. As is the case with Diamond users as well, you don't have a dedicated camera key so, in order to be able to take pictures, you'll have to use the large D-pad. Still, there's a trick that you might like and that's the "Touch and press" function. Basically, you can take advantage of the autofocus function by touching the D-pad. After the camera is focused, pressing the button will actually take the picture. Even if the fact that the device lacks a camera button placed on either of the two sides is a bit annoying, the innovation introduced by HTC, back when the Diamond smartphone was available on the market, makes it a worthy change. In terms of quality, HTC Touch Pro is a considerable improvement over its Diamond “brother.” The plastic placed on the lenses of the Diamond, which was also the reason why pictures were sub-mediocre, has been eliminated. In fact, as you can notice form the sample pictures, the camera does way above-average snapshots. The 3.2 Megapixel camera of Touch Pro can be considered one of the best ever embedded in an HTC smartphone. The interface of the camera is rich in settings, with functions such as Brightness, White Balance, and Effect. Macro mode can also be used with ease, without the need of actually selecting the macro mode available. Movies can be recorded in MPEG4 formats, but you will only get CIF mode recording at 30fps (352x288 pixels). You can even use the secondary camera placed on the front of the phone to take pictures of yourself. Overall, the camera is one of the pleasant surprises offered by HTC to its fans. Now, if only it also featured the geotagging function, it would have been perfect. Nevertheless, I believe that the Taiwanese company is taking into consideration all the feedback it receives from users, and further improves its devices. Starting 2008, Nokia launched a new series, mostly targeting emerging markets, but also fans that could not afford the Eseries, or the more expensive Nseries devices. The new Supernova series of mobile phones is also a remake of the older devices that “amazed” Nokia fans thanks to their exchangeable covers. Almost all Supernova mobile phones are offered now with various exchangeable covers, which are meant to keep the owners interested for much longer. Even if based on mid-tech features, Supernova series devices are offered at lower prices, to attract as many potential buyers as possible. Nokia 7310 has been included in the first wave of Supernova devices, which were meant to test the handset market. Today, Nokia has 5 Supernova series mobile phones available on the market, which means that Nokia 7310 has had a certain amount of success since its debut. Announced in June 2008, Nokia 7310 Supernova was made available on the market at the same time. The handset can be acquired for no more than US$180, without any plan. Prices may vary by location and carrier, so chances are high that you'll be able to get it for under US$150. The candy-bar form factor is the one with the highest longevity through Nokia handsets, and the Finnish giant seems to have learned the secret recipe for its successful bar devices. For those interested in “history,” there are 2 candy-bar Supernovas, 2 sliders and 1 clamshell. Nokia 7310 Supernova can be easily included in the “classic” category in terms of design, as it doesn't stand out from the crowd because of its forms. The handset features the same “old school” bar form that Nokia took to the highest level of art. Still, without impressing too much at first glance, Nokia 7310 will eventually catch your eye only if you manage to stay with it a little longer. The device measures 106.5 x 45.4 x 12mm, and weighs 83g (including battery). It feels good and fits perfectly in hand, while the construction is very balanced, even if it's made from cheap plastic. Users who aren't too careful with their phones may probably break it a few times, but, fortunately this one comes with an exchangeable cover. Nevertheless, the thing is that the supplementary cover is pink and, naturally, if you're not a girl, you'll surely dislike the color. Either way, let's get down to business and see what this phone has to offer in terms of design. Being a mid to low-end device has its advantages, so Nokia 7310 Supernova includes only a few external keys. Therefore, you'll only notice the dual-volume keys on the right side of the phone. There's also a 2.5mm jack port on the top of the phone, together with a micro-USB port, whereas the charger port has been placed on the left part. The back cover of the phone is pretty thin, and made from a cheap plastic, as I have already noted above. Three loudspeakers are placed near the bottom of the back cover, and a 2 Megapixel camera on the upper part. However, this device also comes with some disadvantages, such as the lack of a dedicated camera button, and the hard to find memory card slot. The latter can be found under the back cover, so getting to it if you’re in a hurry can be a little bit hard. You can either power off the phone and pull out the back cover, or you can simply carefully take it out, so you won't move the battery. The main attraction of the phone is undoubtedly the mirror effect of the display. Basically, the screen has been covered with a special plastic that mimics the mirror effect, pretty much like LG Shine and Sony Ericsson Z555i. The keypad has been also covered with the same plastic that simulates the mirror effect, but what's more important is that it’s not really a fingerprint magnet. Of course, it will be soiled and fingerprints will stand out, but only to a small degree. Otherwise, Nokia 7310 looks like an ordinary Nokia bar, neither too bad, nor all that great. The innovation comes in the form of exchangeable covers and the mirror effect of the small display. Besides the mirror-like effect, the 2-inch TFT screen supports 16 Million colors (24 bit color depth) and 240x320 pixel resolution. I wasn't too pleased with the quality of the imaging, but thankfully, it's readable under strong sunlight. As long as the phone is in standby mode, you'll only be able to see yourself reflected in the screen, as only after pushing a key, the display will actually be ready for use. 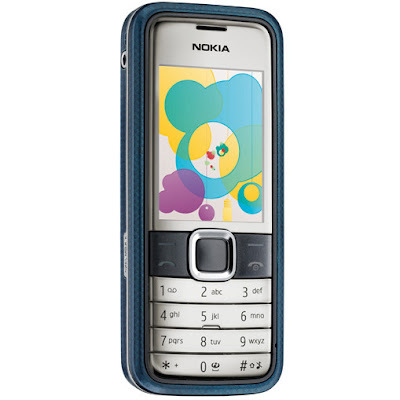 Nokia 7310 Supernova classic runs on a S40 5th Edition interface with Feature Pack 1, which is the latest user-interface coming from Nokia. If you have owned a Nokia handset before and it didn't have a Symbian OS, then this candy-bar will probably feel the same. One of the most user-friendly interfaces on the market, the S40 seems unchanged on the surface, and offers the Nokia 7310 Supernova user an excellent experience. Nothing has really changed and you'll notice the same menus, submenus and icons, even the same animation. Nokia's Series 40 5th Edition UI allows users to experience streaming videos, image rendering, mobile 3D graphics and scalable 2D Vector graphics. The Series 40 5th Edition also supports the latest version of Adobe's Flash Lite 2.1, the interoperable platform that enables the accelerated development and delivery of rich graphical mobile content, and includes audio file playback and streaming capabilities that provide audio and music enhancements to both mobile gaming and multimedia experience. The handset also includes some useful applications, such as Search, Alarm clock, Calendar, To-do list, Notes, Calculator, Countdown timer, World Clock and Stopwatch. The menu is fully customizable and you can designate any MP3, MIDI or AAC file as ringtone. Nokia's integrated browser also did not change, but you might want to use Opera Mini for faster and smoother browsing. The phonebook can store up to 2,000 contacts, and each one can be filled with up to five different phone numbers. The fonts can be customized, but only those displayed when opening Contacts, Web browser and messaging sections. Also, some Java games come preinstalled – Sudoku, Snake III and Backgammon. The phone is compatible with Java MIDP 2.1 applications, but there is a limit to the size of any application that you might want to install on the phone, and that's the usual 1MB. This might be the case for most Java compatible applications, but I noticed that I could run some files that were around 1.5MB in size. Nevertheless, not all Java applications will work on this mid-end device, so you might want to try that out for yourself. Nokia 7310 Supernova is fully compatible with GPRS Class 32 (88 kbps), HSCSD (57.6 kbps) EDGE Class 32 (296 / 177.6 kbps), but as benchmarks revealed, the device attained average scores in terms of data transfer speed (EDGE only 82 Kbit/s download and 49 Kbit/s upload), but that may greatly vary depending on the location and carrier. The phone also features Bluetooth 2.0 with A2DP and EDR for faster data transfers. Synchronization with PC is possible through the proprietary microUSB port, but don't forget to install the software that comes with the phone before. Released back in summer, the G502 mobile phone can be considered one of the few pleasant surprises coming from Sony Ericsson this year. There's no point in denying that Xperia X1 has been the most expected Sony Ericsson device in 2008, but G502 has its advantages and targets a different market than X1. 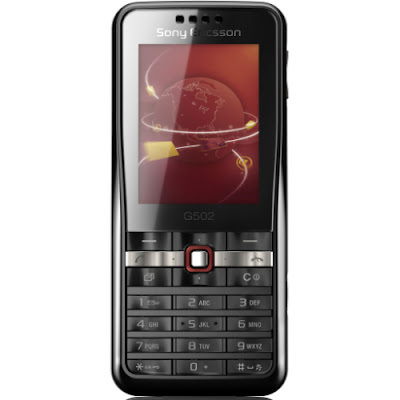 In fact, Sony Ericsson G502 is among few other mid-tier mobile phones to feature HSDPA technology. It seems that its K660 predecessor had some success on the market, which made the Swedish-Japanese joint company launch another version, even cheaper – G502. The main attractions of the device are definitely the new integrated web browser and HSDPA connectivity capabilities. Announced in April 2008, Sony Ericsson G502 was made available on the market in June 2008. To increase its appeal, SE launched the phone in three color versions: Champagne Black, Brilliant Hazel and Celerity Red. The phone can be acquired for about USD 180$, but the price may vary depending on location and plan. Sony Ericsson G502 features a stylish candy-bar form factor, but lacks any improvement from the previous Sony Ericsson bar handsets. It's like you've seen one, you've seen them all. Without being ugly, G502 doesn't impress in terms of design, but that is not what it's meant for. G502 is a small (103 x 46 x 13.5 mm) and light (83g, including battery) mobile phone made from polished plastic, which eliminates the feeling of owning something cheap. Even if it doesn't stand out from the crowd, I'm still impressed by the fact that SE was very careful to avoid the standard look of its devices. Moreover, users won't have any problem with the phone catching fingerprints, as the material used keeps it clean. Instead, the screen could become soiled after each phone talk, in case you're putting it to your ear, and that will be visible more than it should. Another drawback that I have noticed is the fact that its paint peels off after heavy use, especially the silver paint on the back of the phone, near the camera. The joystick paint might also peel off if you're not careful with it. Well, that's about all the negative aspects I have noticed, so let's start checking the rest of the device. The G502 bar handset features the proprietary Sony Ericsson port used for USB synchronization, charging or headset. It has been placed on the bottom side of the phone, together with a small eyelet. On the right side of the device, one can see the dual volume key and a dedicated camera key (thumbs up). There is nothing on top or on the left side, except for a small icon on the left side that indicates the fact that the phone features a micro M2 slot card under the back cover. It can be easily pulled out, which makes the process of replacing the memory card pretty easy. The 2 Megapixel camera on the back has been placed on a large silvery prominence, but lacks protective lenses, so it might be susceptible to damage. You can also find a very small loudspeaker, near the left side of the camera, exactly where a flash should've been. The 2 inch display has been covered by protective plastic so it won't get damaged. Above it, there's only a large in-call speaker and no secondary camera for video-calls. The keypad below has been shaped to emulate a “ripple” effect. There are six keys above the standard keypad: two contextual keys, Accept and Reject call keys, Activity Menu key and a Clear key (Power off/on). The keypad is very easy to use on texting, very responsive and nice to the touch. Still, I have found that using the D-pad joystick might be a little tricky, even annoying sometimes. I didn't like the control of the six keys mentioned above or the D-pad. Otherwise, those using the phone for heavy texting will be more than pleased with the performance of the keypad. Backlighting is stronger on the upper part of the keypad, but overall you won't have too much trouble texting in the dark. Sony Ericsson G502 may look pretty solid, but it is a little bit unbalanced, especially because it's too light for its size. Otherwise, it makes a fine addition to Sony Ericsson's portfolio of mid-level handsets. In an attempt to save its smartphone sales, the US-based company Palm announced that it would launch its latest high-end device, Palm Treo Pro, in New Zealand. The smartphone is available through Vodafone New Zealand for a recommended retail price of $760 USD or $1,300 NZD. Treo Pro is the first Pocket PC developed by Palm that runs on Windows Mobile 6.1 Professional version, after Treo 500v offered the 6.0 Standard Edition of Microsoft's operating system. 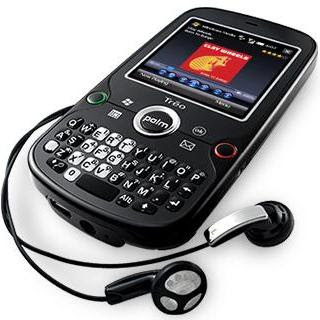 Announced in August 2008, it took Palm only two months to make Treo Pro available on the market. I believe that the collaboration with Vodafone offers Palm some sales backup, as the device will be advertised on the carrier’s expenses and will most certainly be a good choice for those that are looking for a cheaper high-end smartphone. Therefore, according to the plan you choose, Palm Treo Pro could be worth it. "The Treo Pro smartphone with Windows Mobile 6.1 brings a powerful personal computer experience to the small screen, improving how people do business on the go on a single device," said Ben Green, Windows Business Group Lead, Microsoft New Zealand. "Windows Mobile 6.1 also comes with a new Getting Started Centre, which helps the new owner with the typical tasks the phone is used for in the first 10 days when setting up the device. This is just one of the many enhancements that come with the Treo Pro and Windows Mobile 6.1." Some of Treo Pro's highlights include: full QWERTY keyboard, 2.5 inch touchscreen (65k colors support), HSDPA and Wi-Fi connectivities, Bluetooth 2.0 with A2DP support, 100MB built-in user available memory, 128MB RAM, Qualcomm MSM7201 400MHz processor, microUSB port, 3.5mm stereo headset jack, built-in GPS and a 2 Megapixel camera.